Experts want patients to use anti-clotting agents or the drug warfarin. Doctors should prescribe newer medic-ations rather than the “smokescreen” of aspirin to treat a common heart condition, guidance released yesterday advises. Aspirin has commonly been used to treat atrial fibrillation (AF), a heart rhythm disorder, which affects 1.5 per cent of the population in the UK. The latest research from the National Institute for Health and Care Excellence (Nice) advises doctors not to prescribe it to AF patients but to use instead anti-coagulant drugs which prevent blood clots from forming. 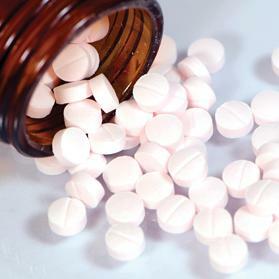 It is thought around 200,000 patients in England are currently on aspirin for their AF. He sought to reassure patients, though, saying they should not stop taking aspirin automatically, but instead make an appointment with their GP to discuss their options. Seven thousand strokes and 2,000 premature deaths could be avoided if people with an irregular heart rhythm were diagnosed and medicated properly, research suggests, as just half of those who should be on anticoagulants are. Almost one in 10 over-75s live with the condition, which happens when electrical impulses in the heart become disorganised, causing an increased risk of blood clots and therefore stroke when blood is not pumped around the body as efficiently as it should be. The new Nice guidelines, updated for the first time since 2006, change the ethos of anticoagulation, Cowan said. “Any stroke occurring in a patient with atrial fibrillation is a tragedy because it is preventable,” he said. Many patients with AF will currently be prescribed warfarin, a drug that needs to be closely monitored. Under new guidance a range of newer oral anticoagulants, that do not require such regular monitoring or dose adjustments, will be recommended. Matthew Fay, a GP and member of the Guideline Development Group, said a new patient decision aid released with the guidelines, now available on the website, will empower patients. It is also the aim to provide each patient with a “personal package of care”, which could include someone to contact if they have any problems, and psychological counselling if necessary. Eileen Porter, a former nurse who has lived with AF for 10 years, said educating patients was of prime importance for her. “AF is a mongrel of a disease,” said the 66-year-old, who is the patient/carer representative on the Guideline Deve-lopment Group. “You don’t feel in control, you are frightened when first diagnosed. Most patients with AF will have some symptoms ranging from palpitations to dizziness, but as many as a third do not have any tell-tale signs, research for the new guidelines showed.